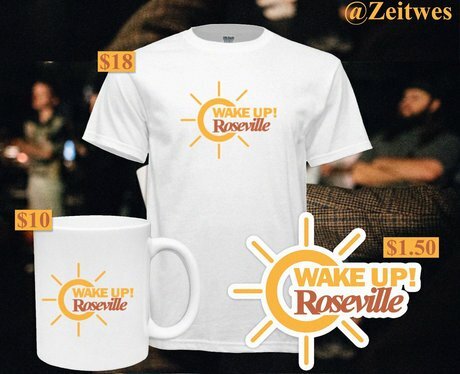 Where can I buy 'Wake Up Roseville' merch? 5. Where can I buy 'Wake Up Roseville' merch? While the band haven't put any official items online (yet), one fan has already put some items up for sale over at http://wesleylindsey.bigcartel.com.